As a reminder, there are no scheduled server-side deployments or restarts due to take place prior to Tuesday, January 7th, 2014. Andrew Linden, in his last appearance at a User Group meeting – indeed, in possibly his last public appearance prior to his departure from Linden Lab – gave further information on the uniform scaling functions for objects and linksets he’s been working on. llScaleByFactor(float) returns TRUE if the scale change succeeded. The new functions do not require any viewer-side update, and have already been added to the server-side LSL syntax file, although they will not actually be deployed to the main grid in an RC release until 2014. In the meantime, those wishing to test the functions can do so on Aditi in the following regions: Balance, Boardman, Borrowdale, Hawkshead and Mayfair. The Google Breakpad release candidate viewer won an exception to the code freeze which came into force on Monday December 16th, reappearing in the release candidate viewer channel as version 3.6.13.284710. The build, dated December 13th, 2013, was allowed a free pass and added to the Alternate Viewer wiki page on Monday 16th December as it contains no actual functional changes to the viewer. Rather, it contains an update to Google Breakpad and restructures the crash reporting mechanism to support out of process crash reporting. The changes are intended to give LL’s development team more call stacks from crashes more frequently in order to improve the triaging and debugging of crash-related issues. 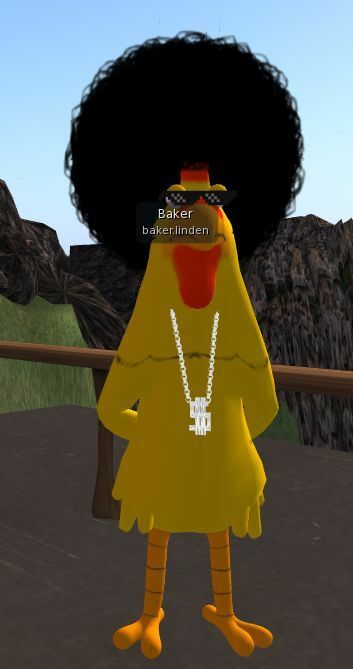 Baker Linden provided an update on his group ban list work. As per my week 46 report, he is going with the approach whereby granting a role within a group the ability to ban people from the group will automatically give that role both the “Eject Ban Members” AND “Remove Roles from Members” abilities as well. However, it will not be possible to remove either the “eject” and “remove” capabilities from a role using the “ban” ability without first disabling the “ban” ability. He’s also added server code that will automatically eject a member, as long as the ejector has both the “eject” and “remove roles” abilities. There’s no timescale as to when the group ban work will appear. From Baker’s comments, it would seem as though the initial QA testing has now finished, allowing him to focus more on the viewer-side updates. Expect to see the results in a project or release candidate viewer before we’re too far into 2014. Judy Chestnut and Dante Spectre of Dwarfins fame attended the Simulator User Group meeting on Tuesday December 17th to report a worrying issue which has been affecting Dwarfins, as well as other breedable creations, which sees them suddenly vanishing from regions. Of those that vanish, some of which turn-out in the user’s Lost and Found folder, others reappear elsewhere in the region and others vanish completely. Reporting the issue, Spectre indicated that his observed tests revealed that of those breedables which vanish, around 10% turn up in his Lost and Found folder, around 10% turn up somewhere else on the region, and the rest simply disappear, never to be seen again. Interestingly, those that are returned to Lost and Found do not appear to generate the notification normally seen following an object return. The problems seem to have started around two weeks ago, immediately following the server deployments, although whether the issue is linked to a specific update is unclear, and neither Simon nor Andrew could see anything within the deployments which could explain the issue. In terms of Dwarfins, the problem has been witnessed on regions running on both the Main (SLS) channel and on the Magnum RC. Regions affected include Dwarfins Rock, Rossavik, Hidden Sanctuary, Hawthorn Estate, and Bull Island, among others. Andrew Linden has suggested that Dwarfins Rock is cloned on Aditi, where the behaviour of the region can be monitored closely. Should Dwarfins vanish from it, the Lab will then be in a better position to dig-in to data gathered from the region and hopefully determine what may be going on. In the meantime, if you have noticed similar behaviour with any breedables of your own, consider raising a bug report. There have recently been renewed calls for materials processing to gain additional scripted support so, as an example, normal and specular maps could be animated independently to one another / the diffuse (texture) map on an object. In fact, requests for such capabilities have been raised periodically since materials was first announced. So, for those hoping for scripted control of materials, it would appear to be some way off at the very least. Wednesday December 11th, 2013 saw the three RC channels updated with a new server maintenance project containing a single bug fix. The RC channel bug fix is related to vehicles getting into a “bad” state where they appear sat upon / selected even if they have lost their passengers as a result of a region crossing. When in this state, they defeat the parcel / region auto return. As the fix for this issue is currently only on the three RC channels and will not be promoted to the main channel until 2014 due to the code freeze / no change window, and because this issue may lead to vehicles accumulating in regions where there is a lot of traffic, Maestro Linden has requested that support move any main channel regions which are affected to an RC channel. These deployments were the last scheduled deployments for 2013. They also mark the last scheduled rolling restarts for the year as well, as there are no plans to restart any channels in either week 51 or week 52. The only exception to this will be if any major issue / fault occurs within the grid which necessitates a restart. The next scheduled server-side deployments will take place in week 2 of 2014, the week commencing Monday January 6th, 2014. SH-4606 Interesting: Small objects do not load until they are very close. SH-4627 [INTERESTING RC] “Object out of range” is not detected on teleport. This may be the last RC update for 2013, unless something like the Google Breakpad RC is slipped out for another round of testing on Friday December 13th. As noted in part 2 of this week’s report, STORM-68 is a third-party contribution which will allow a builder / creator to specify the default permissions applied to a new prim object (cube, cylinder, torus, etc.) on creation. Further testing has been taking place since my last update, and a number of issues and bugs have been resolved as a result. The test plan for the changes is complete and the viewer-side changes now look ready to go to LL’s internal QA. Again, this change requires server-side updates, so it is unlikely to appear in an RC viewer until the server updates are reasonably available on the grid, although this will hopefully happen in the early part of 2014. The future of mesh garments / wearables created using the now SL-defunct mesh deformer was the subject of some discussion at the Open-source Contributions meeting on Wednesday 11th December. While the deformer was never officially adopted by the Lab for use within Second Life, it was available in various test and experimental viewers, and the code could also be included in self-compiled viewers if people knew how. Fitted mesh is coming….what of the future for garments made for / via the deformer? This means that there are garments within Second Life that were created and uploaded for / with the deformer code, and which can resize with viewers using that code. However, as is the case with Fitted Mesh, the clothing would not deform when using a viewer without the requisite code. The same will be true once the Fitted Mesh updates reach a release candidate status and start to be more widely adopted: while Fitted Mesh (and Liquid Mesh) garments, etc. will deform to an avatar’s shape, items created using the mesh deformer will not; they will continue to behave like any other rigged mesh item. This likely means that as the Fitted Mesh code does become more widely adopted, people will stop using any garments / attachables created using the deformer code, and the availability of such items in SL and on the SL marketplace will decline over time. Whether or not this means deformer-based items will vanish from people’s inventories is something only time will tell. From the Lab’s perspective, the work involved in trying to pro-actively determine a method of identifying assets using the deformer code and removing them from the asset servers / inventories isn’t likely to be worth the end result. Therefore anyone with “old” mesh deformer garments and attachables will probably retain them until they opt to delete them from their inventory. It appears unlikely that viewers using the deformer code will be pro-actively blocked from SL. What is likely to happen is that the code simply will not be formally adopted by those variants of TPVs which do not connect to any other grid than Second Life. 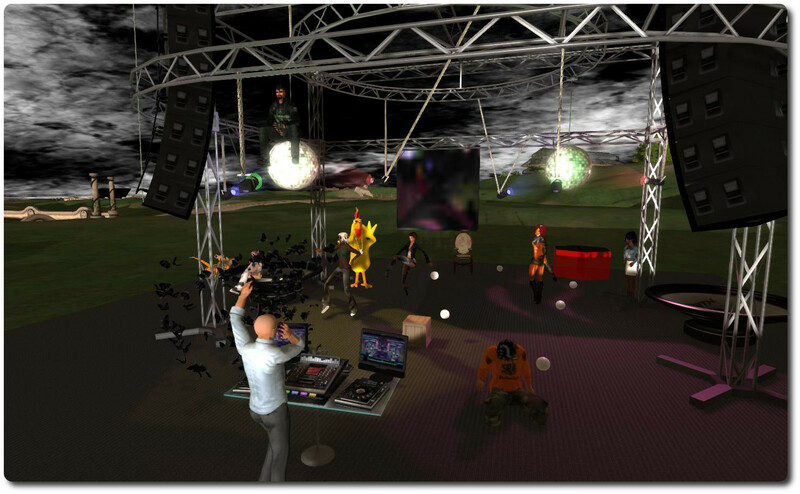 However, this does leave a further interesting question as to the future of the mesh deformer, which has potentially seen far wider use in OpenSim communities than Second Life. While it would seem likely OpenSim will adopt the viewer-side changes required to enable Fitted Mesh (at least in the majority of cases), at this point in time, it is not clear whether the mesh deformer will be entirely abandoned. 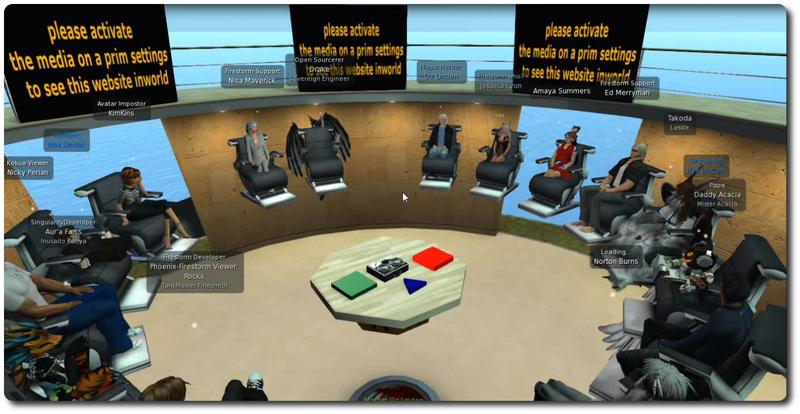 Whether there will be sufficient pressure within OpenSim for the deformer code to remain in use, and whether TPVs will feel obliged to incorporate the deformer into their viewers / OpenSim variants of their viewers as a result, remains to be seen. 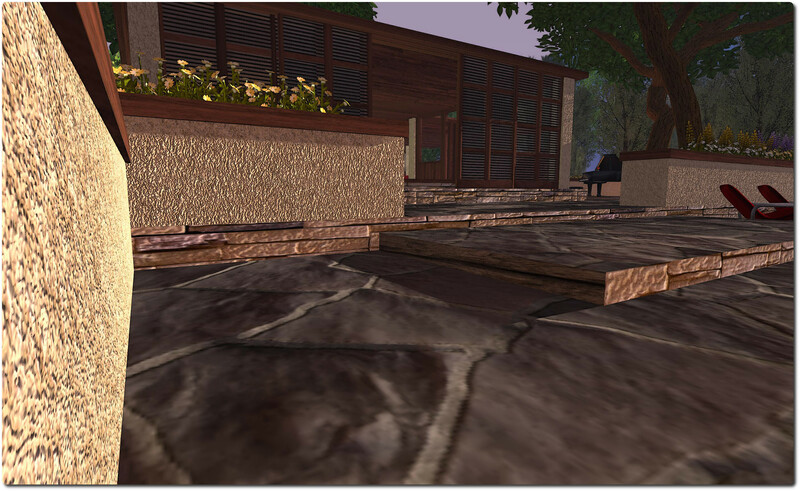 Currently, the only grid which has any kind of significant investment in the deformer is InWorldz, which provided funds for the code to be further enhanced and adopted it into their dedicated viewer in July 2013. Statistics are always a hard thing to determine. Back in the day, there was much controversy over figures released as to the adoption of mesh within SL following its deployment. The figures offered-up by the Lab at the time were vague enough that they could be taken to mean that mesh was either being rapidly adopted, or was seeing very slow growth (with the reality lying somewhere in between). This was not an attempt by the Lab to fudge issues at the time; it simply underlined the fact that numbers aren’t always the best means of trying to quantify something, so it’s perhaps better to allow the passage of time to speak for itself. 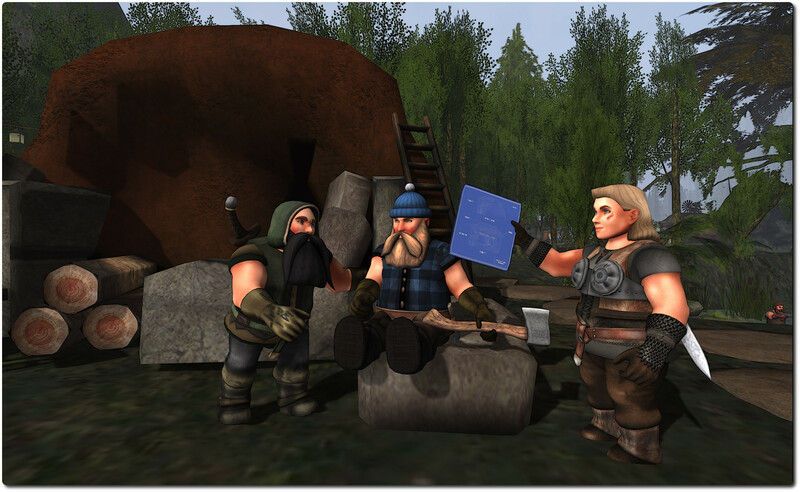 The most recent figures for materials suggest that over half of the regions in SL now have at least one materials-enabled item within them, and around 10% of avatars apparently utilise at least one materials-enabled item. Again, these are figures that are likely to be interpreted either way, depending on how people look upon materials as a whole. Certainly, the term “object” is sufficiently vague so as to be pretty worthless as am objective yardstick, as it likely covers everything from an individual prim through to entire linksets, which leads to a huge variance in the visibility of objects using materials. On a personal note, I can only say I’ve made extensive use of materials in my house, and am more than pleased with the results. There are a number of third-party code contributions in development for the SL viewer, some of which I’ve previously reported upon, and which are now progressing towards a point where they may well have public visibility through the likes of a release candidate in the new year. Users can optionally set the beacon to pulse towards the target object using the CheesyBeacon debug setting (Advanced->Highlighting). The blue beacon will pulse up towards the object, the red beacon will pulse down towards the object. Tracking beacons will be changing under STORM-1981, making it easier to locate objects, etc. STORM-1831 covers the work being undertaken by Ima Mechanic, with assistance from Oz Linden, to improve syntax highlighting in the viewer’s LSL editor by allowing the viewer to obtain the information required for syntax highlighting directly from the simulator the viewer is connected to. This should eliminate issues with the current manually updated files used to manage syntax highlighting falling out-of-synch with new LSL syntax as new functions and parameters, etc., are added. Folded-in to this work should also be a change to the source code text allowance in the viewer’s LSL editor, increasing it from the current 65,000 characters to around 256,000. The server-side cap updates required for both STORM-68 and STORM-1831 have been combined and passed into the simulator release stream, and while it is unclear as to when the cap updates will reach a server-side release candidate package, their progress is being tracked. Obviously, both STORM-1981 and STORM-1831 require viewer-side updates as well, and these will hopefully appear in viewer release candidate form once the server-side updates are sufficiently deployed. A number of TPVs include the ability to specify the default permissions applied to a new prim object (cube, cylinder, torus, etc.) on creation. STORM-68 aims to add a similar capability to the LL viewer (and which will quite possibly supersede the capability in TPVs once implemented). This work is again coming from Jonathan Yap, although it requires server-side updates, which Andrew Linden has been taking care of. However, this work has hit some problems in viewer / server interactions, which may be down to timing issues between requests and acknowledgements being sent between the viewer and the simulator and vice-versa. As such, further testing is required, so it’s possible this work might take a little longer to appear in the new year. A fix for avatars with crouch / crouchwalk animation overrides. Previously, the llGetAgentInfo() LSL function would only return AGENT_CROUCHING if the avatar was playing the default crouch or crouchwalk animations, so if your avatar had an AO which replaced those animations, (either with llSetAnimationOverride() or possibly with classic AOs too), scripts couldn’t tell when you’re crouching. But with the fix, the function is looking at whether you’re actually crouching, regardless of which animations are playing. This should be the only “visible” fix within the package. All three RC channels should receive a new server maintenance project containing a single bug fix related to vehicles becoming stuck in the ‘sat upon’ state (which prevents parcel auto return). 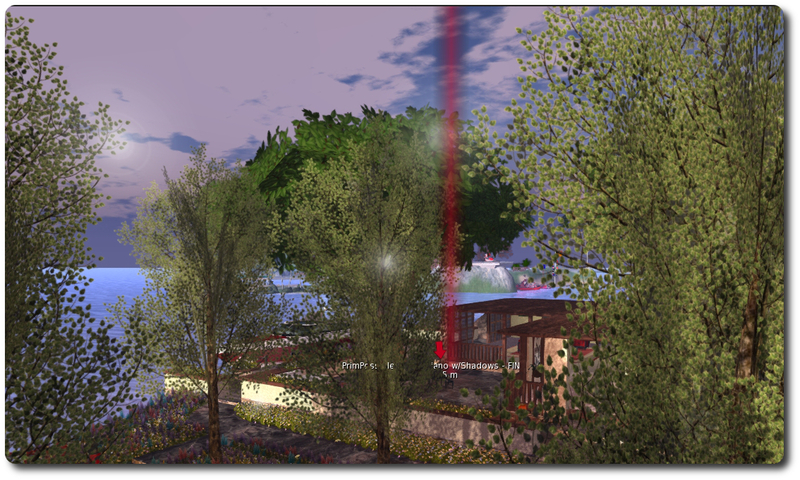 The SL release viewer was updated on Tuesday December 10th to version 3.6.12.284506, formerly the NameUpdater release candidate. This release does not contain any updates to the viewer’s functionality, but does change installer naming and fixes an updater issue. Week 50 marks the last week for deployments to release, main and RC channels by the Lab for both the viewer and the servers prior to the Christmas / New Year code freeze / no change window commencing on Monday December 16th. The no change window extends through until the start of January, and will see no significant releases (other than possible emergency updates, if they are required), although there may still be updates to project viewers. The main reason for the no change window is to allow Linden staff, notably support personnel, have a decent break over the holiday period without the risk of having to deal with significant issues as a result of a change or update immediately prior to the actual holiday period. To ensure this is the case, the code freeze starts ahead of the actual holiday period so that the Lab can ensure those final releases for the year which are made are robust and stable and unlikely to give a major cause for concern while still having staff available to deal with matters should things get a little higgledy-piggledy*. One problem with scaling by multiplicative factor is that the scale operation might fail for a number of reasons; there are four categories of failures: hit the “prim is too small” limit. (2) hit the “prim is too big” limit (3) violation of linkability rules for linked set (when making bigger) (4) misc failures because of navmesh or other things. The current API includes three calls: (A) llGetMinScaleFactor(), (B) llGetMaxScaleFactor() ; (C) llScaleByFactor(float). I currently handle failures (1) through (3), and the llScaleByFactor() will return FALSE if it fails, but it won’t tell you why it failed. You can use llGetMaxScaleFactor() and friend to ask what the max/min multiplicative factors are possible for reasons (1) through (3). Needs some work, but it is in progress. A further concern / failure point was raised at the meeting: rescaling an object containing mesh and hitting the land capacity for a region as a result of the LI value increasing. One suggestion for avoiding this would be to have a function which could determine how far an object can be scaled prior to hitting the capacity limit for a parcel (e.g. returns the potential LI for a given scale value before an object is rescaled; however how this might be accurately achieved is unclear, particularly as LI scaling with mesh objects can be subject to a range of factors. The following notes are taken from the TPV Developer meeting held on Friday December 6th. A video, courtesy of Northspring, can be found at the end of this report. The numbers in braces after each heading (where given) denote the time stamp at which the topic can be listened-to in the video. The Name Updater RC viewer, also released on December 3rd, has been updated to version 3.6.12.284506. This contains no functional changes to the viewer itself but contains two sets updates, hence the odd name. Changes the package names to a uniform format which is the same for all of the operating system platforms. The aim of these changes is to further improve the viewer build process and reduce the number of places changes have to be made in order to change the viewer channel name when building different flavours of the viewer (LL’s own or a TPV). The RC has been performing well in terms of low crash rates, etc., and looks set to be promoted to the de facto release viewer in week 50 (week commencing Monday 9th December), and so will see-out 2013 as such if this is in fact the case. It is possible a further Google Breakpad RC may appear in week 50. The Maintenance RC viewer 3.6.12.284430, released on December 3rd suffered an abnormally high crash rate, prompting it to be withdrawn in order for it to be looked at and crash issues diagnosed / fixed. Once these issues have been dealt with, the viewer will be returned to the release pipe. The Project Interesting (aka “viewer-interesting”) RC viewer has been in RC for a while and is suffering a high number of crashes, which are currently being investigated by the Lab. Unlike the Maintenance RC viewer, it has been left as an RC simply because issues are being found with it, because of both the number of people using it and the broad range of systems on which it is being run and which the Lab couldn’t possibly account for in their own testing. At the moment, the Lab are trying to put together an update for the viewer, but they still have a couple of “pretty serious” crash issues which have yet to be resolved. However, the hope is that this may actually make it out into the world before the no change / code freeze window comes into force on Monday December 16th, which affects all server releases and all viewer release channel releases. This would allow the updates made to get further “in the field” testing during the code freeze / holiday period. That both the Project Interesting and Maintenance RCs are experiencing issues is something of a validation of the new viewer release process introduced by the Lab earlier this year, in that the problems being encountered with both of these viewers are not blocking the viewer pipe, unlike the situation of just over a year ago, where a series of crash issues with the old beta viewer completely halted all significant viewer updates. As noted in part 2 of this week’s report, the Fitted Mesh project viewer received a set of updates (including new avatar skeleton files) in the form of release 3.6.12.284458. The project viewer has so far received a very low number of downloads – somewhat unsurprisingly – with the total number of people using the viewer thought to be under 2,000. This means that it hasn’t as yet been used widely enough to generate meaningful crash statistics. The response to the skeleton changes within the viewer has been “good”, and the viewer has seen a reasonable number of JIRA issues raised under the FITMESH project, etc., although the Lab cautions against anyone using the changes contained in the viewer in anything other than an experimental version of their own viewer until such time as the code reaches a Release Candidate status. The latter will not happen before the end of 2013, although there may be a further project viewer update for Fitted Mesh before the end of the year. One thing which may happen when the viewer is approaching a release status is that it will bring with it a “significant bump” to the viewer version number, not the least of which is because users on viewers without the code may see some bizarre, or at least oddly fitting clothing on avatars using garments weighted to use the new system, as noted in my launch preview of the Fitted Mesh project. This is one of those times when things are in flux and can be changed… We have never made changes to the avatar skeleton casually, and we’re making a round of changes now; we’re wildly unlikely to make another round of changes for years. So if there is feedback to be had, this is the time to have it. So if you are a creator and do have an opinion on how things might be better handled within the Fitted Mesh solution, now is the time to be involved and potentially influencing the Lab’s thinking. not every idea put forward may be taken-up; but on the other hand, waiting until the changes have been made and the viewer released will certainly mean that any ideas someone may have will have passed their sell-by date. Part of the general feedback voiced when the Lab announced the Fitted Mesh viewer came in the form of questioning why it took the Lab so long to reach the decision to go with the approach. Part of the reason appears to be that mesh deformation and Server-side Appearance projects required the same expertise with the Lab to be applied to them, and so were vying with one another for manpower – and the decision was made to give the SSA project priority. During the Server Beta meeting on Thursday December 5th, VoidPointer Linden indicated the work on making the viewer operate with the Oculus Rift headset was now “feature complete”, and that a (presumably project) viewer will be appearing “soon” with support for the headset. How soon is open to question, given VoidPointer had to be somewhat circumspect. However, following the TPV developer meeting, it appears that “soon” might actually be a little more in the realm of “later” than may be the case. Oculus Rift viewer: “soon” probably not as close as either “real soon (TM)” or “pretty soon (TM)”! Maestro has verified a fix for the latter issue, which he described as occurring with vehicles which get into a “funky” state, ” The vehicle gets ‘bad’ if it loses the passenger right at region crossing,” he said by way of explanation, leaving them appearing to have somebody sitting on them per parcel accounting rules, but who is effectively a “ghost rider”. It is hoped that these fixes will form a RC release together with some additional small updates prior to the no change window / code freeze kicking-in on Monday December 16th. The only change which should be visible normally is a fix for avatars with crouch / crouchwalk animation overrides. Previously, the llGetAgentInfo() LSL function would only return AGENT_CROUCHING if the avatar was playing the default crouch or crouchwalk animations, so if your avatar had an AO which replaced those animations, (either with llSetAnimationOverride() or possibly with classic AOs too), scripts couldn’t tell when you’re crouching. But with the fix, the function is looking at whether you’re actually crouching, regardless of which animations are playing. He went on to note that there is a similar issue with ground sit, wherein if you sit on the ground, the viewer only presents the ‘stand’ button if your avatar is playing the default ground sit animation. Originally, llsetanimationoverride() allowed the ground sit animation to be replaced with something else, but this led to situations where a seated avatar could not stand up. In addition, it includes the updated avatar_lad.xml and avatar_skeleton.xml file developed by Jeremiah Linden in accordance with his notes on FITMESH-2 (notes dated December 2nd, 2013). 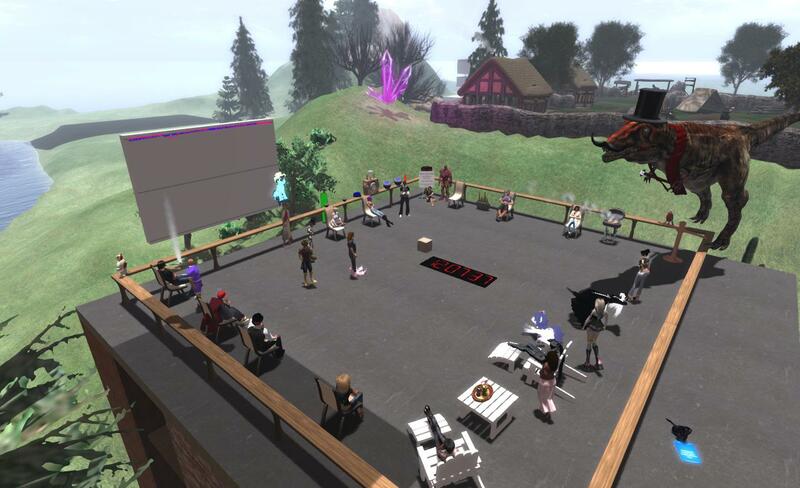 Also attending the Server Beta meeting, Voidpointer Linden reported that support for Oculus Rift is feature-complete and should be released “soon”. Frame rates when in “Rift look” will be very much down to the user’s own hardware (unsurprisingly). Voidpointer apparently attended the meeting using a Rift headest and reported that he was getting frame rates ” pretty comparable to normal,” but also noted he has a good machine on which to run SL. Details on the presentation of the UI, etc., were not provided, as these are apparently still under wraps. In the past, it had been indicated that the UI had been set to be floating “overhead”, just outside of your normal point-of-view, so you had to look up to see them. Whether this is still the case, remains to be seen. There have been reports of people using the Rift (in general, not just with SL) suffering from nausea and motion sickness. Commenting on this, VoidPointer said, “I’ve been using it for a while now and I don’t really have problems with nausea at this point. 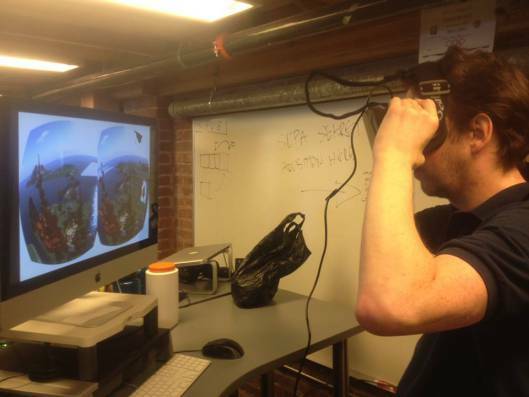 [But] the Rift is very sensitive to frame rate, vsync, and other things. Before the rendering was fully hooked up or optimized,it wasn’t as fun, I’ll say that.” He also revealed the Rift headset can be somewhat adjusted so it can be worn over glasses, if necessary. As the Rift is not currently commercially available, those with the headset and SDK will be able to make use of the new viewer once released, and will require a DVI cable connected to the headset and their system for the video output and a USB connection for the head tracking capability (so the screen view follows the wearer’s head move to present them with the expected view). Commercial versions of the system will use HDMI for the video. Whether support for the Rift will be announced before or after the end-of-year break remains to be seen.